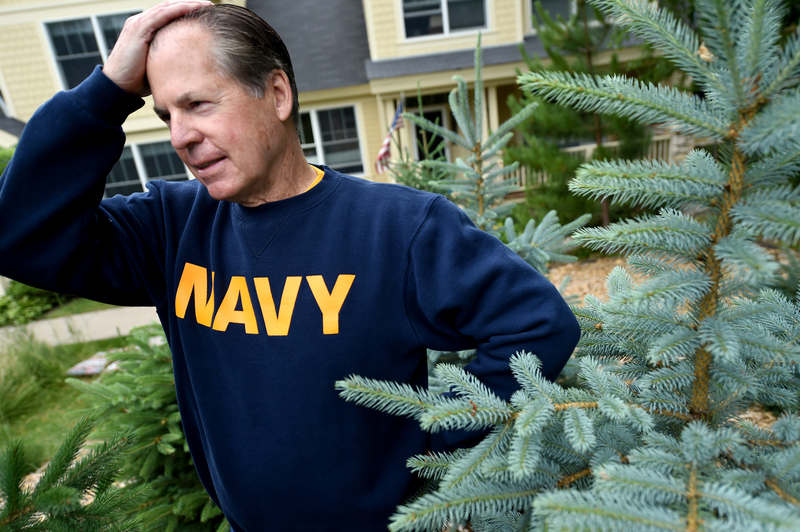 David Francis ripped open a bag of cypress blend mulch last month and carefully spread it around the base of a Black Hills spruce in the yard of his Stillwater townhouse. The tree is one of nine that David and Linda Francis have planted over the past nine years. Come October, there will be 10. The stand of trees — a mix of Black Hills and blue spruce — is a living memorial to their son Jon, who died 10 years ago July 15 while hiking in the Sawtooth Mountains in Idaho. 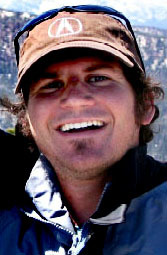 A wilderness searcher found Jon Francis’ remains a little more than a year later, on July 24, 2007; he had fallen to his death from the north face of a mountain known as the Grand Mogul. Each spring, the Francises put a seedling spruce in a pot and leave it at Jon’s grave in Rutherford Cemetery, just a few blocks north of their house. Each fall, they replant the tree in their yard. At the time he disappeared, Jon, 24, was working at Luther Heights Bible Camp near Ketchum, Idaho. He also was a youth minister in Ogden, Utah. He majored in religion at Augustana College in Sioux Falls, S.D., and had planned to go to Luther Seminary in St. Paul to become a minister. Francis walks to the cemetery a couple of times a week to water the tree and visit with Jon. He sits on “his” rock — the pink one, eight in from the north. Francis wishes more people knew his son’s story. In the past 10 years, David Francis, 72, has emerged as a national advocate for missing adults. He has written a book, “Bringing Jon Home,” and founded the Jon Francis Foundation, which provides information and advice to families searching for people missing in the wild. He was pivotal in the passage of the state’s “Brandon’s Law,” named after 19-year-old Brandon Swanson, who disappeared in southwestern Minnesota in May 2008. The law requires law enforcement agencies to file missing-persons reports and begin investigations when an adult disappears. The Jon Francis Foundation has provided crisis and grief support to more than 40 families in 14 states and Canada. The latest search, in May in southwestern Colorado, was the best-organized search to date, Francis said. Joe Keller, 18, of Cleveland, Ohio, went out for a run on the morning of July 23, 2015, in Antonito, Colo., and never returned. The foundation helped the Keller family by assembling a team of 25 ground searchers and 11 certified search dogs and covered a large area around Keller’s last known position, Francis said. The team logged 30 “dog days” — cumulative days of canine search — and more than 20 ground-search days. Sadly, Francis said, Keller was not found, and his disappearance remains a mystery. “Every time the foundation helps with a search, it’s like peeling off a Band-Aid. … The pain is just as sharp,” said Jocelyn Francis Plass, one of Jon’s three older sisters and the first executive director of the foundation. Plass and her husband, Doug, and their two young children moved to Idaho after Jon disappeared to help coordinate the search. They ended up staying in Stanley, where they own a restaurant called The Redd. Francis is writing a second book. Its working title is “Life After Death,” and it’s about what he has learned on his “journey of grief and loss — what works, what doesn’t,” he said. One chapter — titled “But Did You Enjoy the Play, Mrs. Lincoln?” — deals with the awful things people say after a death, he said. But the passage of time has helped. On what would have been Jon’s 31st birthday — March 5, 2013 — Francis realized the pain wasn’t quite as “god awful” as it had been the year before. And he no longer felt as guilty about feeling some joy in his life. Granddaughter Camille, age 7, and her mother, Robin Francis, live in the Stillwater area; the Francises babysit her about 20 hours a week. 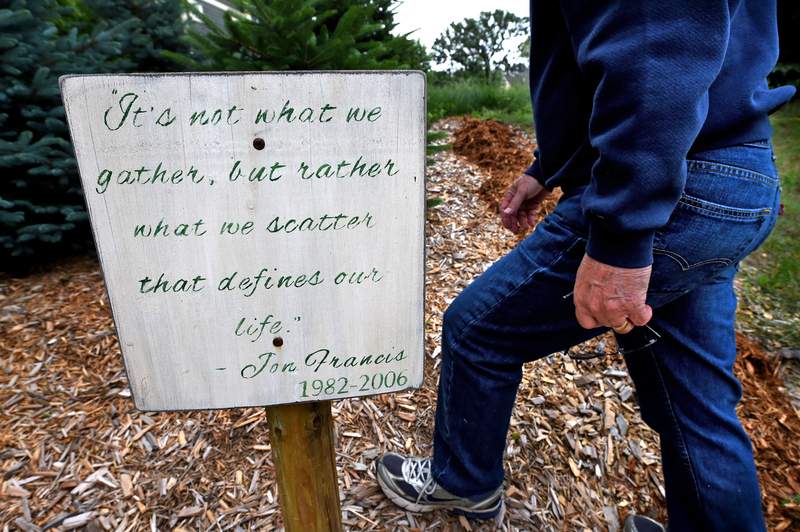 Family and friends will gather in Idaho July 15-17 to mark the 10th anniversary of Jon Francis’ death. They will tell stories around the campfire at Luther Heights Bible Camp, hold a barbecue and hike to a lake they call “Lake Jon” — near the bowl of Grand Mogul, where Jon’s remains were found. David Francis says one of his most important missions is to share his son’s story — around the campfire, in the media, at the cemetery — so that people won’t forget him.